* Part of the Maryland Scroll, created on March 16, 1863, the day before the Battle of Kelly’s Ford. 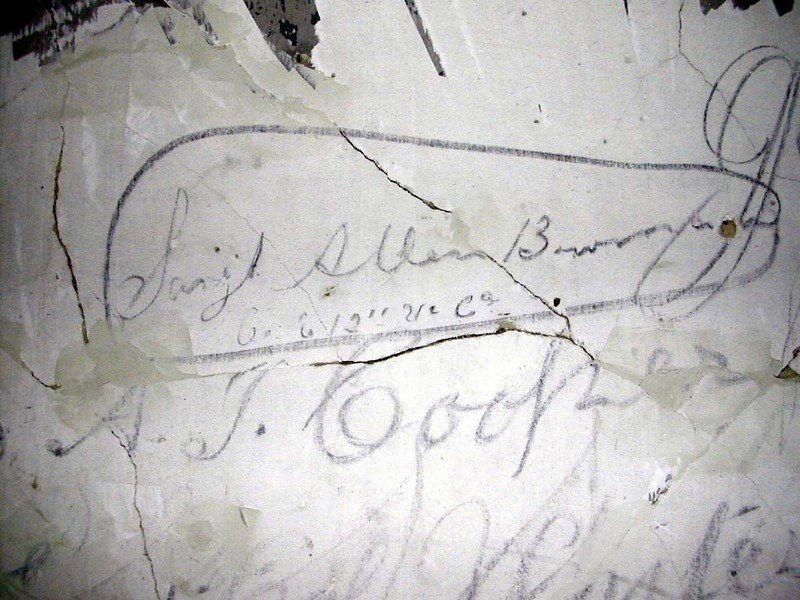 ** The only William Haney found to date served in four separate units: 30th Virginia Infantry, 13th Virginia Infantry, 24th Battalion Partisan Rangers and the 35th Battalion Virginia Cavalry. 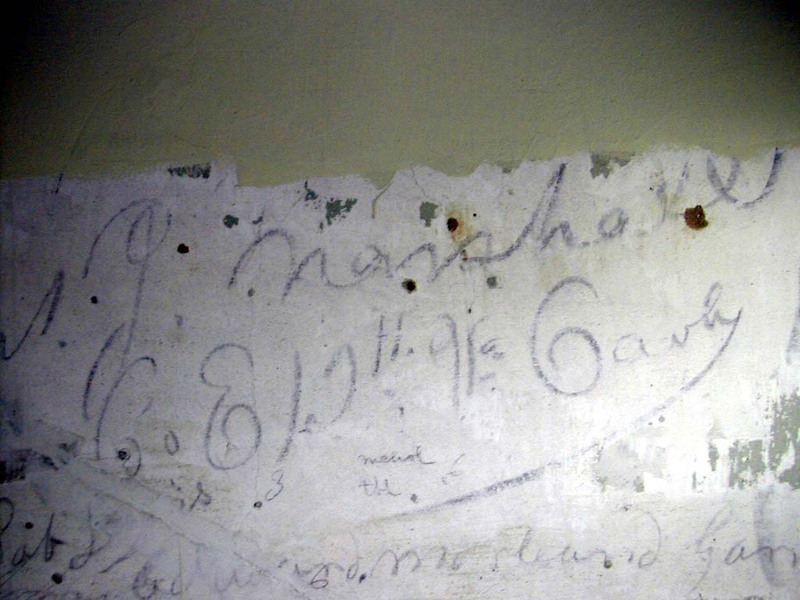 It is believed he signed the walls of the Graffiti House while serving in the 24th Battalion Partisan Rangers. 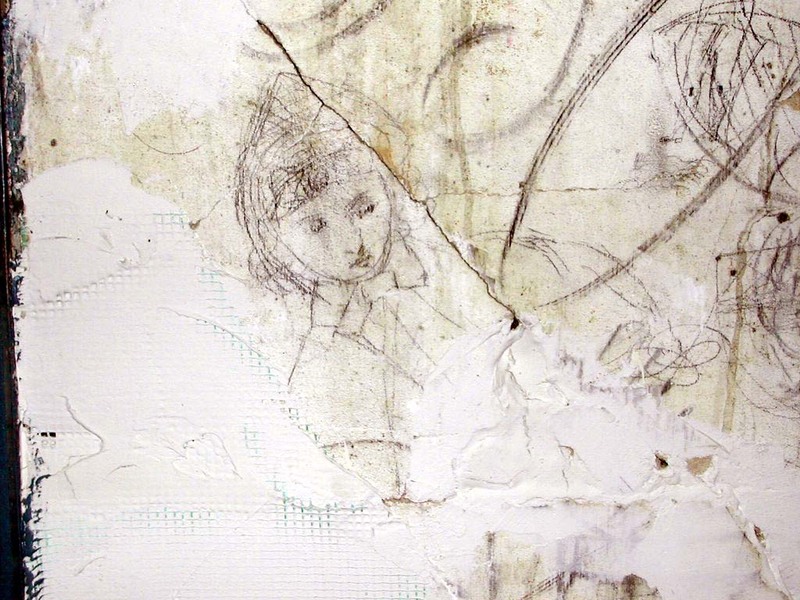 Of the 12 drawings found (many are shown below) only a drawing of Captain James Breathed has been identified. 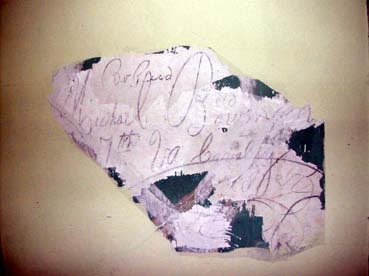 The Maryland Scroll is pictured separately. 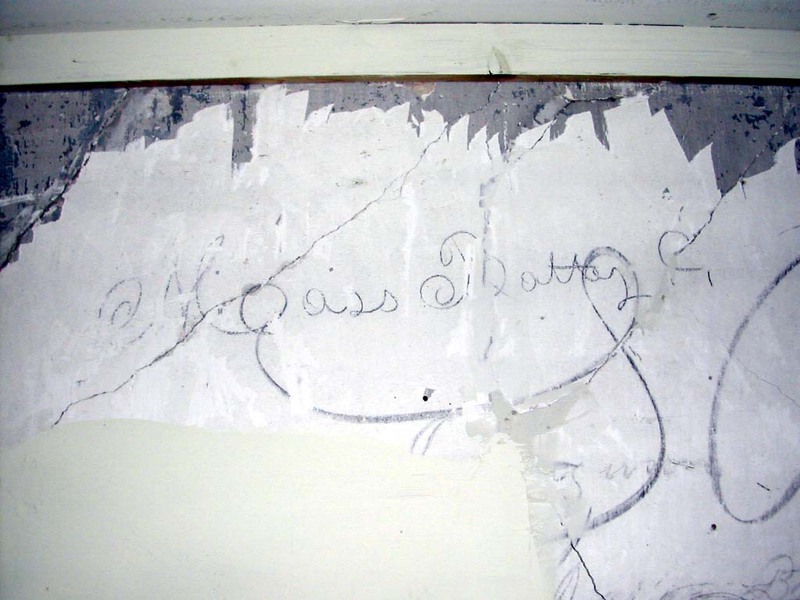 We were able to match a "Graffiti House" signature with a period photograph. 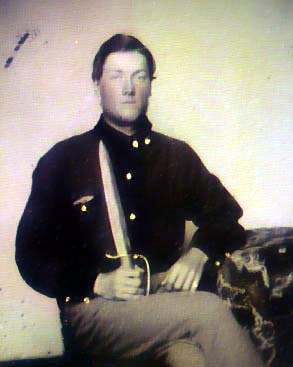 A picture of Trooper Michael Bowman was found on an internet site for the 7th Virginia Cavalry. 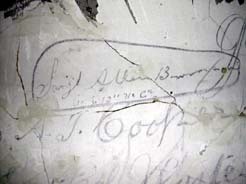 Trooper Bowman's signature is on the front wall of the upper left room (as you go up the stairs). It is possible, although not proven, that Trooper Bowman may also be related to Sgt. 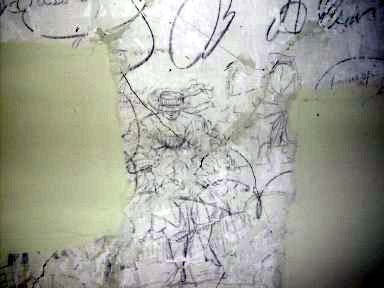 Allen Bowman of the 12th Virginia Cavalry who signed the front wall of the front (facing the road) right room. This scenario seems possible since the 12th was actually part of the 7th Cavalry organization before the 7th was split because of its very large size.